One thing my family really enjoys is listening to music while we work around the house. I have found that we get more cleaning done while listening to music then we do when there is nothing on. So it does not surprise me that we bake and decorate for Christmas while listening to music as well. My kids have their favorite Christmas songs as do Jake and I. Jake and I are a fan of the Classic's and Orchestra's when it comes to Christmas music. The kids seem to like the sillier songs that were made with kids in mind. 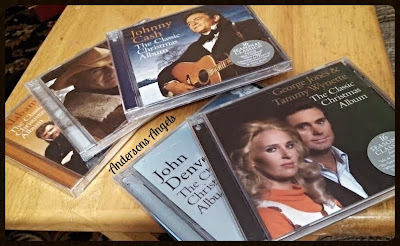 I was excited when I got the chance to review a collection of out-of-print or never issued on CD, Classic Christmas Albums from Legacy Recordings/Sony's Classic Christmas Album series! I am a big fan of country music to begin with but having the classics like Johnny Cash, George Jones along with Elvis Presley just puts me in Heaven. When I got the CD's and opened them up to look at all the titles I instantly opened up the Elvis CD and put it on and Bubba was quick to say "oh great that is all we are gonna hear now isn't it?" He knows that my favorite Christmas song is "Blue Christmas" by Elvis and now I had at my fingertips anytime I wanted it. How would you like to add some of these Classic Christmas Albums to your Holiday Collection? These CD's would make great gifts for the Classic music lover in your life. 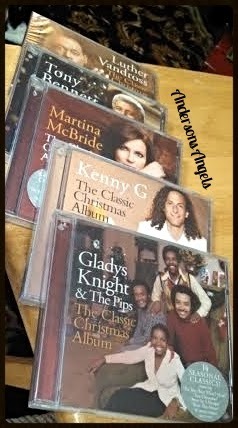 Well then it's your lucky day I am giving away the 5 Classic Christmas Albums pictured above to one lucky reader!! 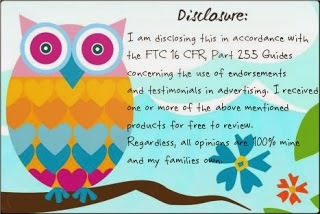 To enter just simply fill out the form below. My favorite is Carol of the Bells. Silver bells I like them all. Currently it's Jingle Bells because I can sing it with my young grandchildren. My favorite is Mary Did You Know. My favorite Christmas song is "O Come O Come Emmanuel" or "The First Noel"
My favorite is Oh Holy Night. It makes me think of my father! My favorite Christmas song is The Christmas Song by Nat King Cole!